No Cost. No Credit Card Needed. Membership is transferable to the buyer of your current home or your new home if it’s in the Spoor’s Heating and A/C service area. $25 dollars off today’s service call. With any paid repair. Does not include diagnostic fee. Must mention this coupon to tech. Call (530) 823-1843 today to start saving money on your utility bills. As your HVAC system ages, its performance declines. 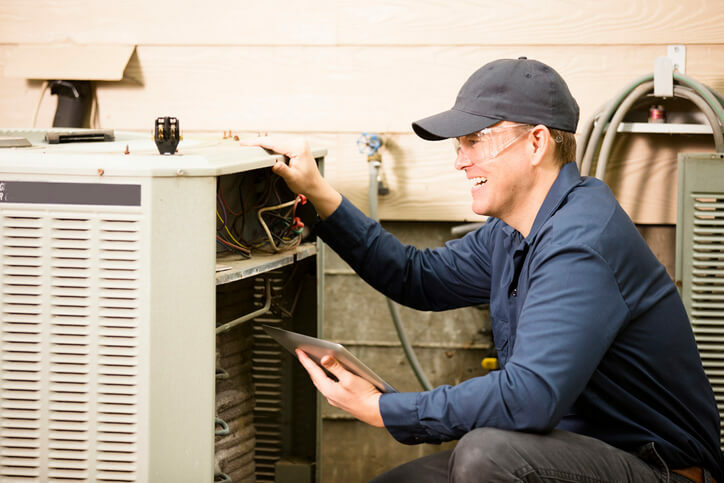 On average, the life expectancy for a heating and cooling unit is around 15 years, although it could be as low as 10 years or less without proper maintenance. An HVAC maintenance plan can extend the life of your system by several years or even a decade. In sunny Auburn, CA, families can pay thousands of dollars every year on utility bills — much of that consumption is attributed to heating and air conditioning. Since maintenance plans keep your HVAC system at its peak efficiency, you could save money every year on energy costs. This is better for the planet and your budget. Between seasonal wildfires and city pollution, your family doesn’t need any more sources of poor air quality. Yet dirty air filters, vents, and ducts can degrade indoor air quality by introducing dust, mold, and pathogens into your living space. HVAC maintenance helps keep your household safe and your loved ones healthy. When the AC unit stops working on a sweltering summer day, that’s usually because the system lacks maintenance. Avoid missing out on the conditioned air that keeps everybody cozy warm or comfortably cool and content. Make sure your unit is in top shape with planned HVAC maintenance. We have been very pleased with the service and support that Spoor’s Heating and Air Conditioning has given us. We are now on our third heating and air conditioning system in three different houses, and each them has improved our energy efficiency and reduced our electric bills. Spoor’s has been very willing to work with us and our timeline to get the jobs done and their personnel are the best. Each and every one has been courteous and professional. We use them to continue to maintain our systems to keep them in tiptop working order. They go the extra mile by also replacing the batteries in smoke alarms and filters in the systems when doing the check-ups. When something has gone wrong with the systems, they go the extra mile to verify any warranty coverage that may still exist. I recommend them for all your air conditioning and heating work. We had another company try to sell us the sun, moon and stars and drive us to a brand new unit. Spoor’s was able to fix the problem at a fraction of the cost. Our next call was a pre-winter check up of our furnace, which was done quickly and efficiently. I was so pleased with their work that I have decided to sign up for their very reasonably priced pre-summer and pre-winter service contract. I would highly recommend Spoor's for all of your heating and air conditioning needs.